Still going strong after 38 years! 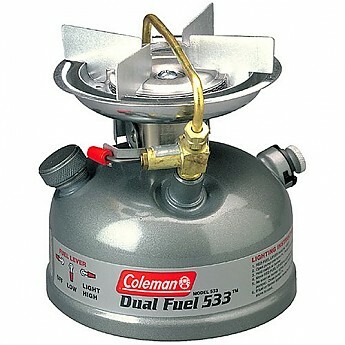 Replaced with Coleman Compact Dual Fuel Stove Model 533. Dual fuel...even unleaded for your car! I am sure this review applies to the new model as well...they are exactly the same except for the tank design. I think the newer wider base with no legs might be better. I bought this in 1979. I used a few years and then stuck it in a shed, outside, half full of fuel in 1990. It has been in temperatures from 15°F to 110°F in the storage shed...in fact I suspect up to about 140 when it the shed is closed off in summer. The storage bag deteriorated at some point since when I was cleaning out last year I found it and the bag had all but turned to dust. I took out the stove and turned on the fuel and heard some hiss...I pumped it up and lit it. Within 30 seconds it was running full blast 10,000BTUs! I boiled some water and then went to simmer...worked like a charm. It simmers great! The fuel was 30 years old! So this stove is reliable and not finicky after no use for years. I will ditto others that when it is cold and the tank is full the startup is tedious since there is no space in the tank for air pressure to build. So I recommend you use some lighter gel to get the tube hot when use in outdoors. I had no problems lighting this stove, other than time, at 10000ft winter camping at Fourth of July camping area when temp was well below zero and the inside of the tent had 1/4" of condensation ice! Also, I after it warms up you need to give it a good pump up. These is needed again after a few minutes if the tank is half or more full. 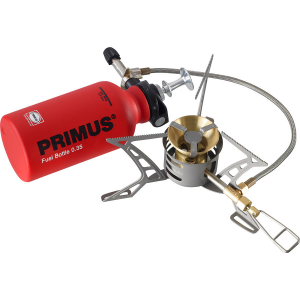 The price of camping stove fuel is ridiculous these days but this will run on lead-free gas in the new model...maybe the old too? This is how it looked new with the bag. I also posed a picture of the model you can get at Amazon or Walmart and it is the same except for the tank. Thanks for sharing your Peak 1 experience, Michael. That's impressive that it worked just fine after sitting around for 30 years with fuel. I’ve owned two of these Peak 1 single burner stoves. I’ve owned two of these Peak 1 single burner stoves. I’ve only had the best of luck with my stoves. Just love it and can usually find replacement parts if necessary. I like that I don’t need to connect a braided fuel hose to a fuel canister. One unit stove and only had to replace generator once in 15 years. I have very little negative experience with this stove. Nothing but good luck. Maybe it could be just a little lighter. 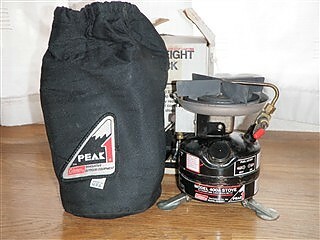 I bought my first Peak 1 in 1990 and it was a replacement from a Coleman Sportster, which was an older and heavier model 405. It was wonderful in 1980 but was large and held more fuel but didn’t boil water as quick. The newer models burn dual fuel, but I’ve only owned the model that takes only white gas. Best investment in backpacking equipment I have accrued. 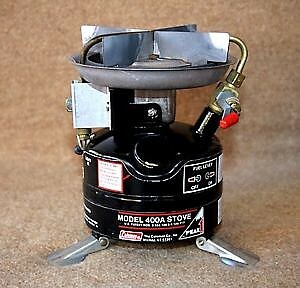 I’ve used these single burner stoves by Coleman since 1980. 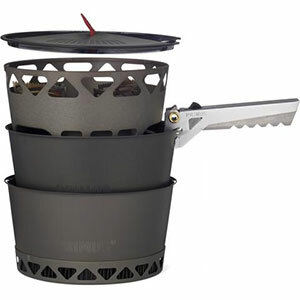 I’ve owned MSR stoves and prefer my Peak 1 stove. I hike and camp year round with as much as 1,200 miles a year in Adirondacks of New York. On and off member of the ADK Mountain Club. Thanks for the review of your Colemans, Jean! Please never leave me. I was reading some reviews. I was reading some reviews. I just started my 1982? version in prep for 2017; lit up first try. I've never done a THING to it except add some oil. Used in in all types of conditions, run hard and put away wet. Once started, I pump (if you need a fast boil) a little more. I always release the pressure after it cools, starts better next time. I see there's still some on eBay. With maintenance kits still on eBay as well I'd say buy it! If that's what you are looking for. I rarely do more than a long weekend. I bought mine in 1984. I finally replaced the generator because the adjustment lever wasn't wanting to move any more. I figure I have more than 30 years left on it now. Heavy but best stove ever. Go online and buy a generator and it will last your lifetime. I love my Peak 1 stove! Hasn't been made in years, so parts may be hard to come by. I have two Peak 1 stoves, both built in the early 1980s, and I won't buy a new one unless I have no choice. The flame control from simmer to full works perfectly, and that is a huge plus when simmering pasta/sauce for 10 minutes. The one=piece design means no hooking up fuel tanks or anything, just gas and go. It can be tough to light on cold mornings (think mid-October in Maine), but pre-heating the generator helps resolve that. I have the original (brown) Peak 1. Welcome to Trailspace, Ken. I moved your review under the Peak 1 for you. Thanks! Older tech, bit bulky, but works like a champ. 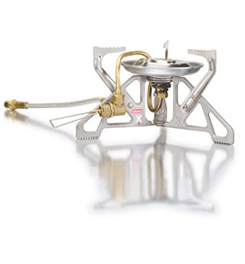 The Coleman Peak 1 Backpacking Stove — bit bulky, bit heavy compared to most other white gas stoves (i.e., MSR WhisperLite). Totally big and heavy compared to any canister stove or ultra-light alcohol burner. Does it work? Certainly. I've had mine since 1997. Gets going hot fast and has good flame adjustability. However, you do have to remember to oil the pump gaskets every 6 months or so, or else they'll dry up and then the stove won't pressurize. Would I buy one again today new? Nope. Would I buy one at a yard sale for $10 or so? Sure. 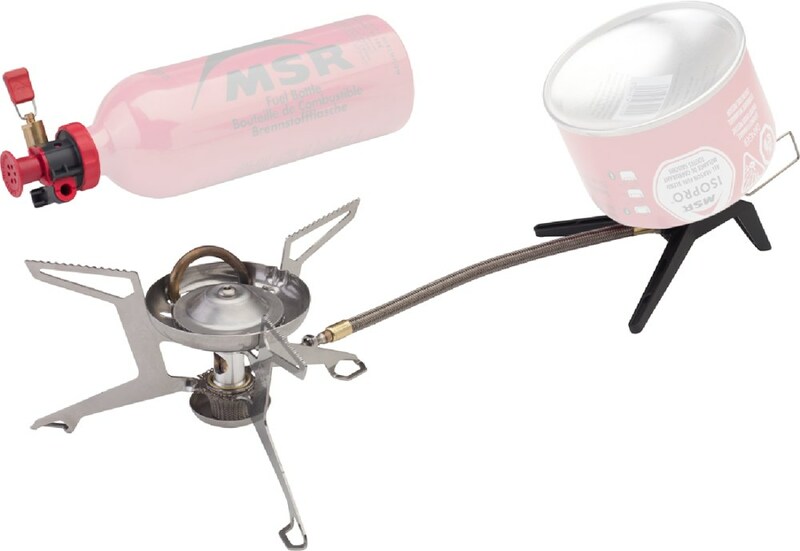 Good backup or additional car camping stove. 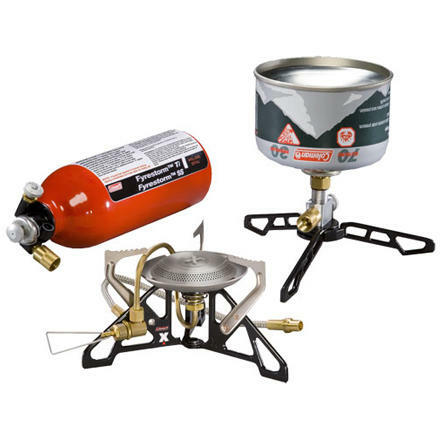 The Coleman Peak 1 Stove is not available from the stores we monitor.